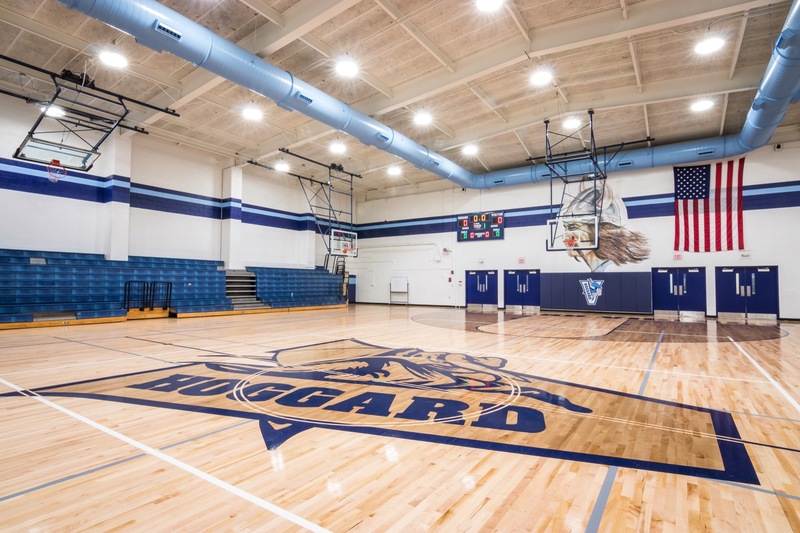 We created the Hoggard High School concept with the colors and mascot at the forefront of the design. 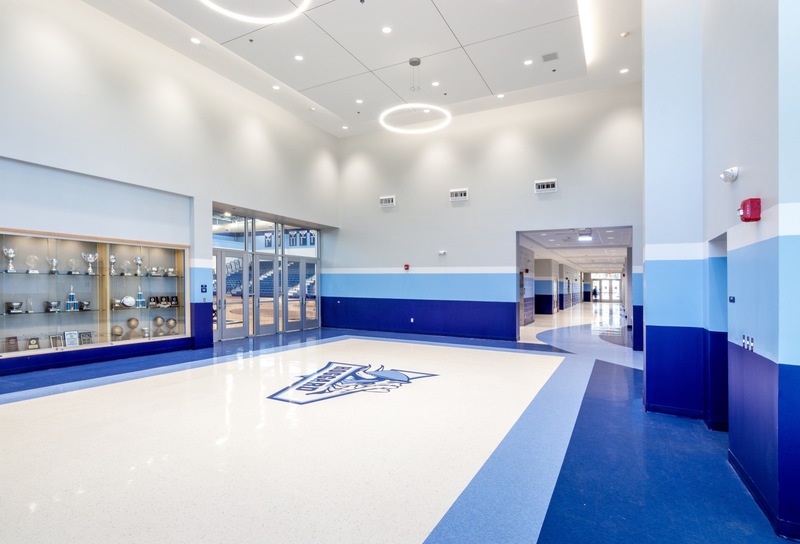 The light and dark blues are weaved throughout the school in floor patterns and painted bands along the hallways. 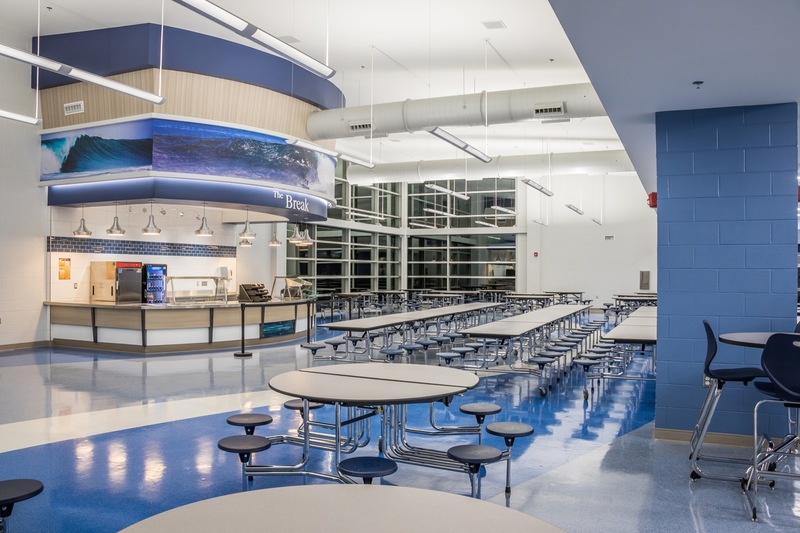 A coastal wave pattern was used in the flooring in both the newly constructed cafeteria and Shelia E. Boles gym. We worked with local photographer, Chris Frick, to select a wave image for the bulkhead above The Break, an à la carte food station with a contemporary coastal scheme. We used 3form acrylic panels on the face of the service counter with sleek, aluminum LED pendants hanging above. 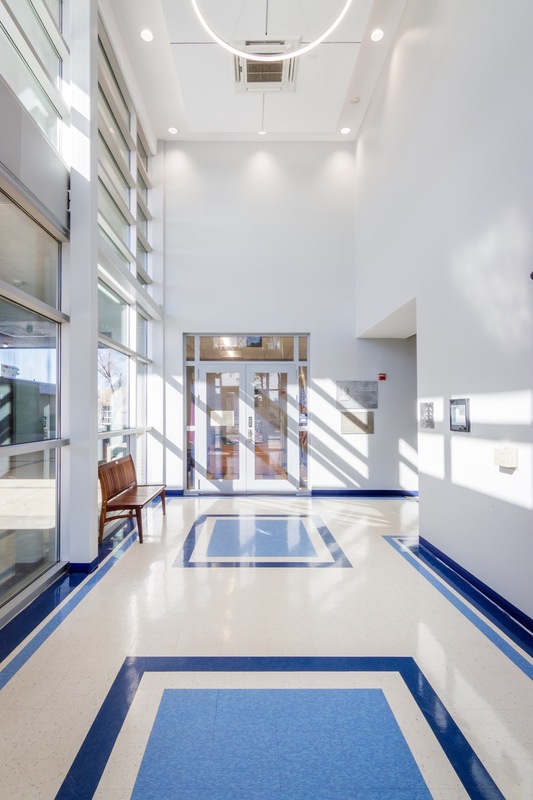 The back wall was a high gloss white tile with a dark blue glass subway tile accent. 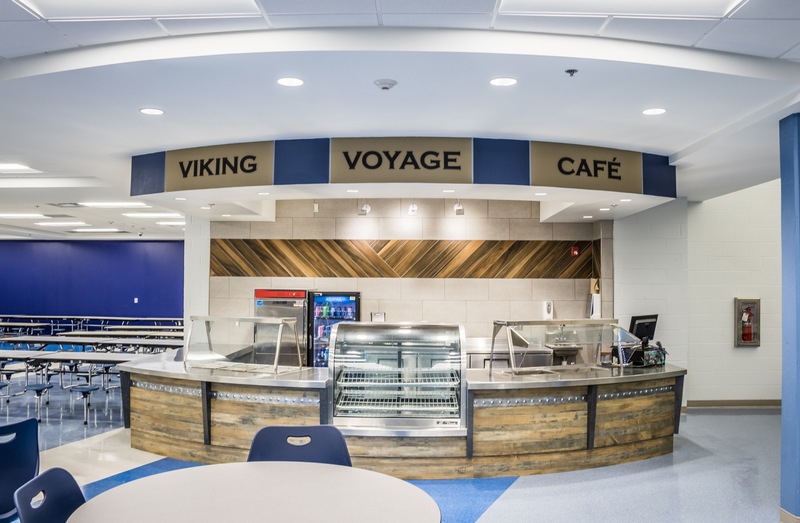 The Viking Voyage Café coffee bar was modeled after the idea of a Viking ship. We used a highly distressed wood look laminate for the front and referenced ship planking using a wood look tile installed at a diagonal on the back wall. 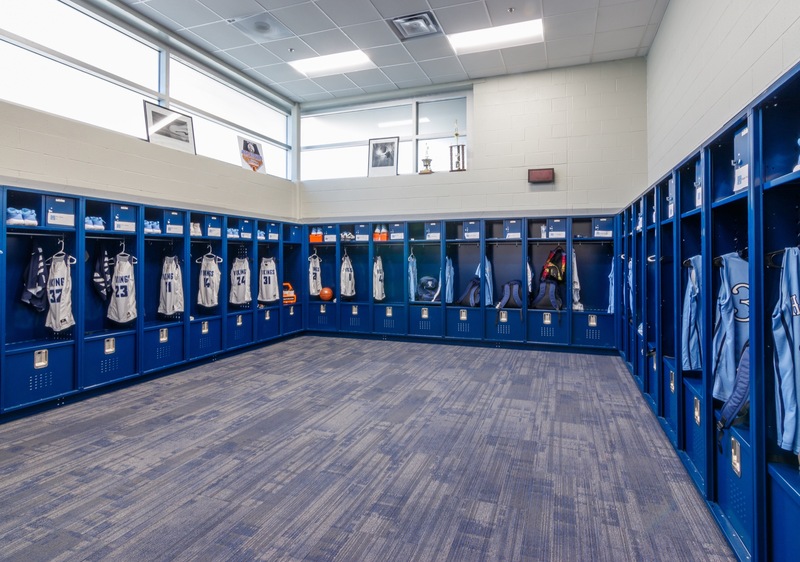 We chose laminate and tile options that resembled wood for its look but had the durability necessary for the high-traffic areas. 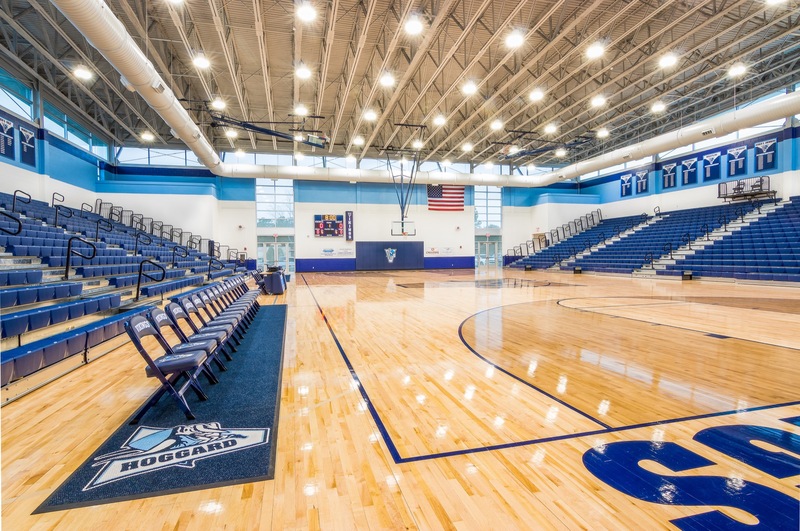 The existing gym was given a facelift with newly finished floors, revived bleachers, and custom painted ceiling ducts and walls. 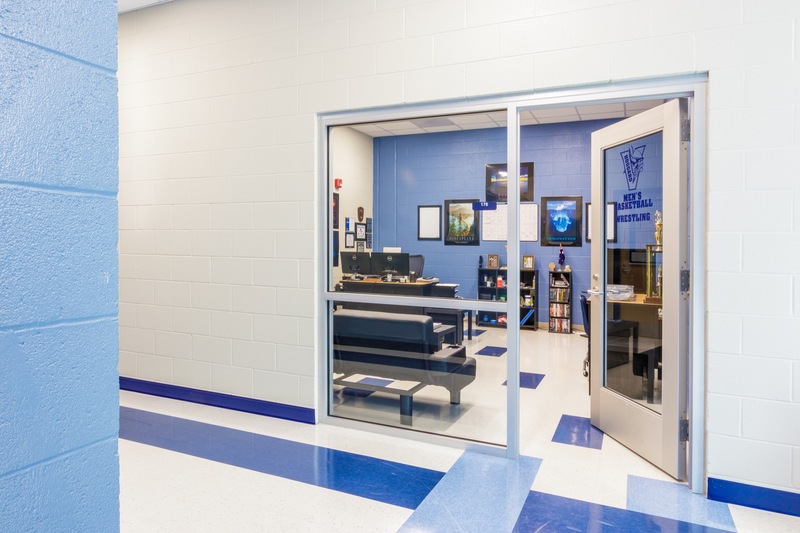 Accent bands in the newly constructed gym were strategically placed to be in line with championship banners that would hang in years to come. We worked with local photographer, Chris Frick, to select a wave image for the bulkhead above "The Break."